I ordered this for my hubby probably year ago bc his friend had one and loved it. Well, he absolutely loves it as well. 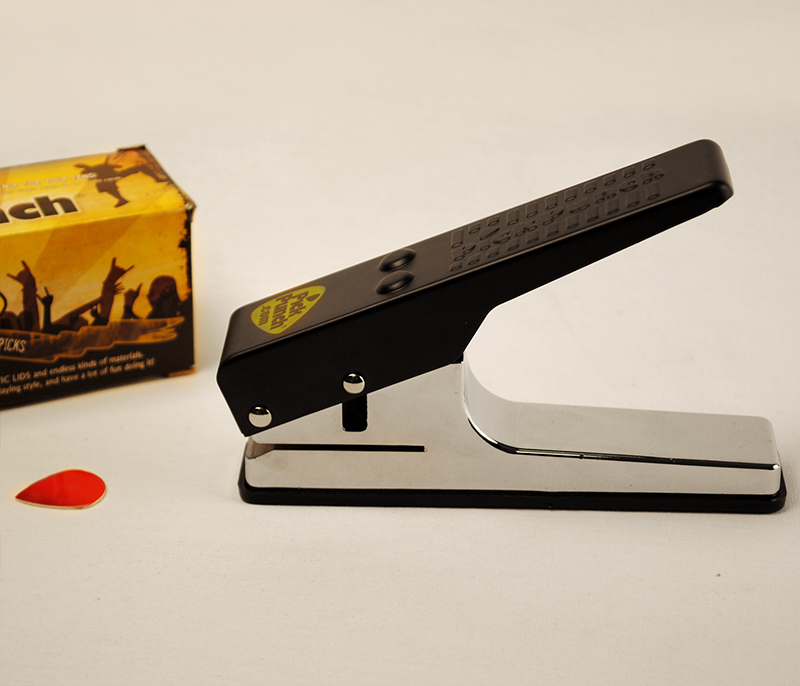 It's a pick punch, and it makes guitar picks out of soooo many things. You can make them from old credit cards, used gift cards, hotel room keys, old drivers license....so many different things. Guitar picks aren't cheap especially if you buy them often. This saves a lot of money in the long run. And as you can tell, he has a few now lol he has given so many away too. They also have several different ones to buy depending on the type of pick you are wanting....depending on what guitar you are needing them for. Below is a different for "jazz picks"
Wow, this is pretty neat!! So cool! I might get my 20 year old one for Christmas!